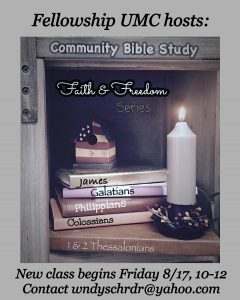 Community Bible Study (CBS) meets at Fellowship on Friday mornings, 10am-Noon. 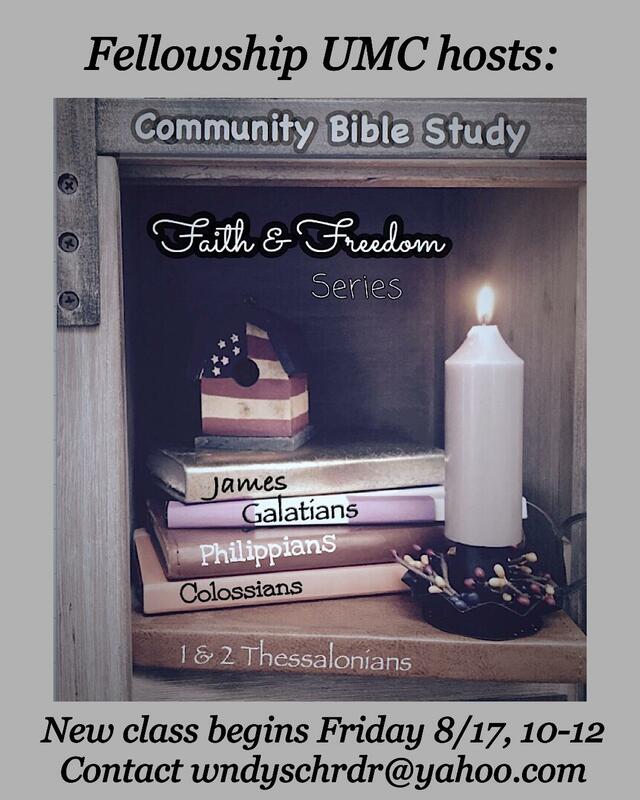 We begin August 17th and will be studying James, Galatians, Philippians, Colossians, and 1 & 2 Thessalonians. To register, contact Wendy Schroeder at wndyschrdr@yahoo.com or call at 615-962-1642.